This is another ancient Norman cheese made in the area of its namesake town, Pont l'Evêque. A cow’s milk cheese with a soft pâte, and washed yellow-orange to straw yellow rind, it is much more restrained and less pungent than some, rather with a grassy and mellow bouquet. 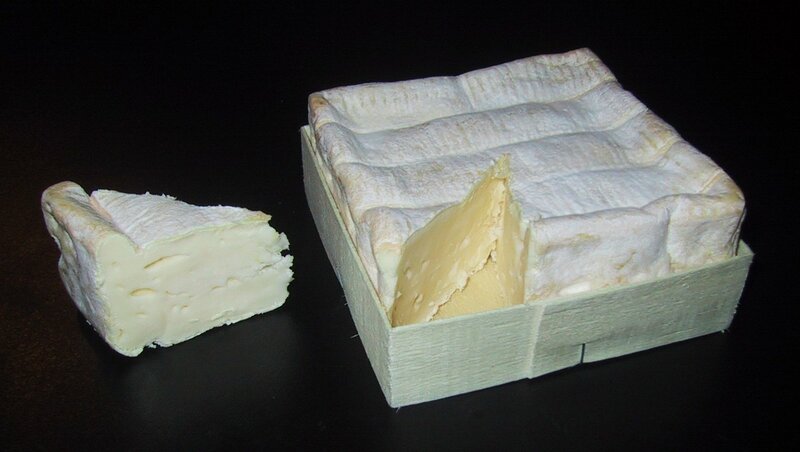 The flavor is savory, reminiscent of Camembert, with a rich, creamy texture, the fat content is at least 45%. This smaller version of Pont L'Eveque will ripen more more quickly than the Grand Pont L'Eveque. This cheese was already greatly appreciated in the Middle-Ages. Its name comes from the little town of Pont-l'Evêque, between Lisieux and Deauville, in Normandy. It was at first called “angelon” in the 16th century, maybe to recall the precise origin of this cheese developed in the Pays d'Auge, in the Touques valley, particularly abundant in rich pastures. 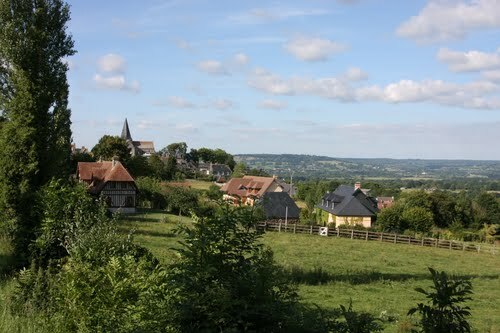 It has been known as Pont-l'Evêque since the 17th century, and is possibly the oldest Norman cheese still in production.